I'll be honest, I'm here because the the former Dinar site I was on is now gone. 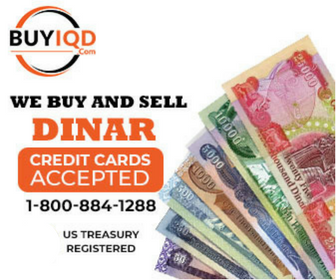 I can say that I'm a one Dinar site kind of guy. This site is where I'm hitching my wagon to. I've been in the game since '08, so no drama here. In it for the long haul, if I can survive it. Welcome! I'm guessing you'll find DinarVets to be a bit different than the rest. Glad to have you! Welcome. This site is straight up. Welcome to the REALality of Dinar Vets. There are no “747’s”, “oilmen” or “missing codes” here. Here there IS a very grounded, very intelligent and, most importantly, an ethical, honest leader. Here is a community of individuals all geared to a common goal: a win-win for all parties. Questions are welcomed...I’ve asked some dumb ones....and this community always HELPS. This is the best investment of both time and money you could have made to learn how to protect your future gains. Hi Mr. Haney and Welcome! The main reason I am here at DinarVets is because of the value added services offered now for the post event. If You have not considered VIP here at DinarVets, You may want to look into this to maximize Your speculative investment potential. I am lifetime VIP. There is a "Store" tab toward the upper left of Your screen that You might want to look at. My opinion is the cost of the services offered now is trivial compared to the post event benefit. VIP will not be offered post event, according to Adam Montana, if You have not joined prior to the IQD revaluation. I am also in the Off Shore Investment (OSI) group here to further maximize my IQD speculative investment potential. I have almost all the OSI products offered with only the ones I need now pre event purchased. There are various cost effective options You may want to consider for OSI so that these services are available to You post event if this meets Your IQD investment objectives. I think You will not find a lower cost or more beneficial service to maximize Your IQD investment potential anywhere else. Full OSI utilization does have some cost with annual costs that You may want to consider. Since I have full OSI, I do pay these costs annually with the peace of mind that I am good to go post event on a moment's notice. I did my research on the IQD and I believe it will have a very beneficial return sometime. When and how much, I (nor any one else) do not know. However, the events in Iraq and the relationships other countries have been exercising with Iraq is extremely encouraging and indicative of the potency of the IQD investment return in, possibly, the not too distant future. I got my VIP nearly seven years ago, renewed it once, and then purchased life time (Platinum) VIP. I am glad I did since my renewal fees would have exceeded the Platinum VIP cost. I was extremely skeptical of the OSI potential. However, after careful consideration, I joined OSI nearly three years ago. The reason for joining VIP to begin with then OSI is due to the extreme need I will have to make the best and most secure decisions, investments included, to prevent this windfall from disappearing like water down a gofer hole. Due to the nature of what Adam Montana and his associates are doing, I believe Adam Montana and his associates genuinely have the DinarVets customers' benefit potential maximized to the extent possible. OSI offers additional flexibility and anonymity in relationship to this investment that I think is well worth the value post event. In case You are wondering, this is NOT a paid advertisement but a testimony from a grateful customer (THANK YOU ADAM MONTANA AND AFFILIATES!!!). Let me know if I can answer any questions for my reasoning or from my experience. Due to the value added services of VIP and OSI, there is limited information that can be disclosed here in the open forums. Hope to see You, Mr. Haney, in VIP and OSI! The Best Of Your Weekend To You! What Synopsis said.......and welcome to the club! The Best Of Your Weekend To You, BoosterBGlee!!! Also a consideration, I believe Mr. MONTANA is offering a VIP discount thru Sunday evening, I believe that is correct..if I am not right, someone please correct me. Ditto to all of the above comments. We are like a fellowship of like minded beach and umbrella drink lovers! The opportunity to become informed on this site is vast, and I'm not only speaking about the Dinar! It seems like most everything is discussed here. Have fun finding what interests you and welcome to DV! Mr Haney - Welcome from me, as well. Jump in & enjoy the ride. Alot of us have been on the ride for many years too. It's been fun, we've learned alot together, and we're hoping to all find the pot at the end of the rainbow - soon! As you know, it's up and down, but still alot of fun. Enjoy reading, stay away from the Rumors section, and stay awhile. I'm humbled, honored, and invigorated by the above comments. I certainly didn't say "Welcome" to Mr Haney to promote any paid services, but since the discount was mentioned and I see Mr Haney joined after I sent out the email with the discount... here are the details that I sent on Friday via email. Get in VIP this weekend, before Sunday at midnight, and save! Mr Haney, welcome to DinarVets, a place where we have a great group of well informed, educated and dedicated folks who’s interests are all of the same. Our team of mods and owner of the site Mr Adam Montana are the finest people i know and are always here to keep us grounded and well informed of what’s going on in this crazy ride. Jump in and join the discussions and if you have a piece of information (valid with links) please don’t hesitate to share. Yup. Steve I died and People´s dinar is no more. I belong to most sites though. I am a multi site kinda guy. Not necessarily for the people that own them, but for the members. Steve was...sometimes a JERK to his members. To me the main difference between this site any any other is the integrity of our leader, Adam. I have learned during my 5 year membership that he will not, under any circumstances, lie to us. We may not like what he says but we know it is well conceived, well researched and truthful. The members, Paperboy, Synopsis and so many others are truly helpful, knowledgable and truthful. Welcome, you'll learn much and (eventually) enjoy the fruits of your investment. Welcome Mr. Haney. Say hello to Arnold. The Best Of Your Evening AND Weekend To You, FredST!!! We are a team and I certainly appreciate all Your comments and followup!!! Hey, no one can or should do this all alone!!! Go Moola Nova (YEAH, BABY!!!)!! !